The importance of a ball bearing in the collet nut cannot be understated. Apart from the fact that it allows the user to run both CW and CCW tools in the same tool holder, it is the solution to eliminating tool slippage problems during the routing process. 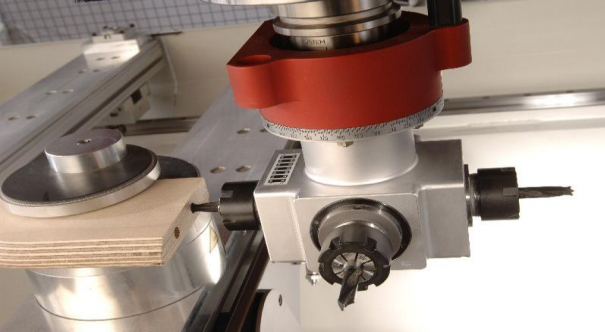 Even if tool slippage is not an issue….if you are noticing any collet marks on the shanks of used tools, you have an issue with vibration occurring during the cut. 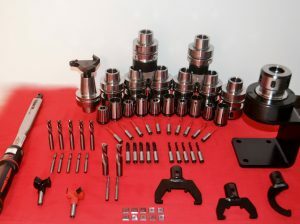 This leads to poor cut quality and poor tool life. While these collet marks can also result from a worn collet needing replacement, they often occur from use of a static nut that doesn’t apply the same grip as a bearing nut does. Case in point: One Florida customer, lets call him “Carlos”, bought two 1/2″ diamond PCD router bits from GUHDO and experienced breakage of both bits right below the shank. When the PCD bits were returned for evaluation, we found chattering to be the problem and upon further investigation, found his tool holder had a static nut and a collet which had not been replaced in years. 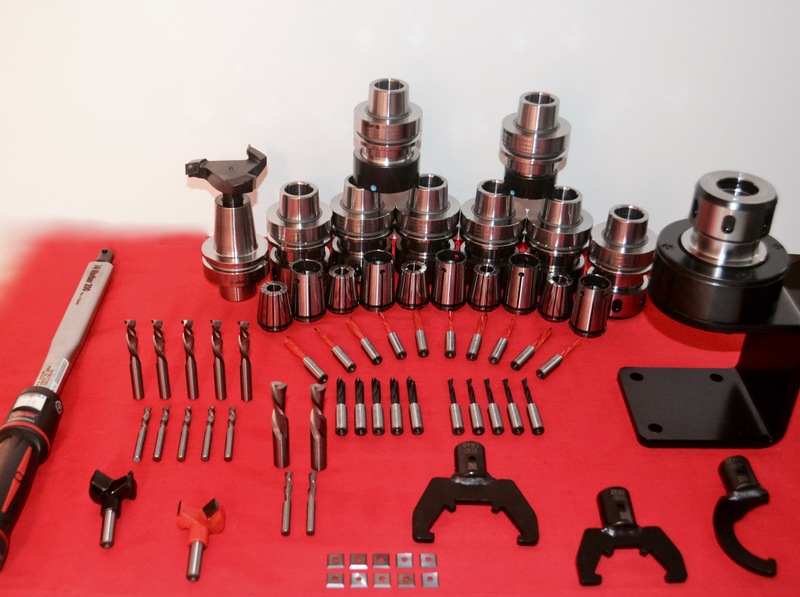 After replacing the tool holder, collet and diamond bit the customer called a few weeks later to tell us his problem was resolved and better yet, his CNC machine had never ran as quietly as it was now running, in all the years he had owned it! At the CNC Cookbook they have studied the effects on precision that come with and without a ball bearing collet nut – the results tell the story on just how important the ball bearing is “…A ball bearing nut has about 14% more static stiffness for surface finish, but a whopping 50% more damping, which helps keep the chatter out when you have to get aggressive with a cut.” If you’re serious about precision and interested in getting new tool holders, or upgrade to ball bearing collet nuts, you can call us at 1-800-544-8436 to order. Are you struggling with moving your work from one machine to another? Do you have to re-position the work-piece on your machine? Is your machine unable to perform specific criteria, which causes you to turn down business? If you have answered “yes” to any of these questions, continue reading this post! 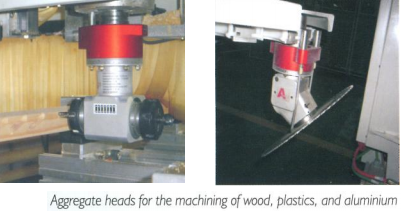 Generally, companies consider purchasing an aggregate head for a CNC machine when an additional axis would reduce material handling and speed up production or when existing equipment does not have the capability needed to efficiently perform a job at hand. Since there are many styles and types of aggregates, choosing the right one is essential. Aggregate head bodies are constructed of aluminum, which keeps the weight to a minimum on your machine spindle and in your carousel. This also allows the heat to dissipate, keeping the aggregate as cool as possible while it’s in the cut. Internally, our aggregates use beveled, calibrated gears to ensure there is minimal “backlash” in the gearing. As you can imagine, there is a lot of energy transferred to the gearing when the aggregate first enters the cut. That energy is transformed to heat. Based on this scenario, how you keep the aggregate cooled is critical to the longevity of the aggregate. Viscous grease is the most common method of cooling/lubricating the gearing. A greased gear-lubricated aggregate is ideal for routing and light scoring of material. But, with viscous grease lubrication, there is a “catch”. During operation, the temperature of the aggregate cannot exceed 185 degrees Fahrenheit. That is the maximum heat index the grease can withstand. If the aggregate temperature exceeds 185 degrees, the grease will burn off, creating a metal-on-metal situation with the gearing, greatly increasing the temperature internally. 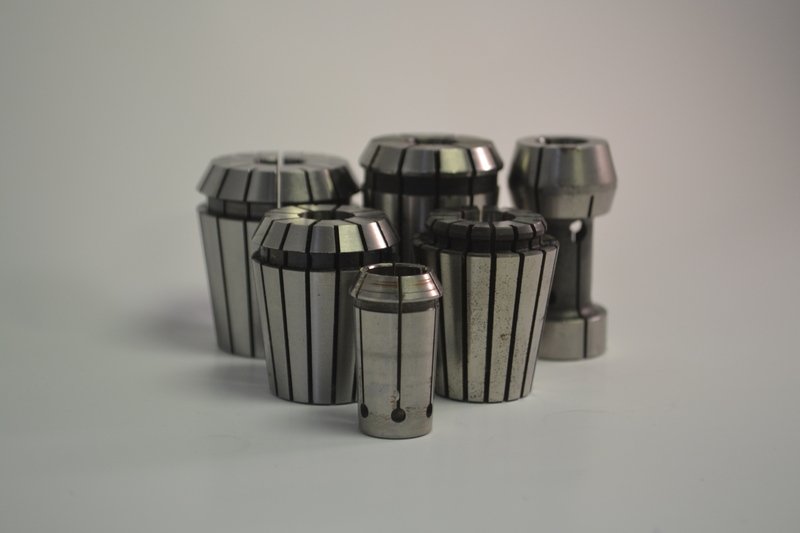 Regular replacement of collets should be considered part of good machine maintenance as the condition of your collets will directly reflect upon the tool life as well as quality of finish on your product. Collets that are worn and dirty will create vibration during the cutting process. 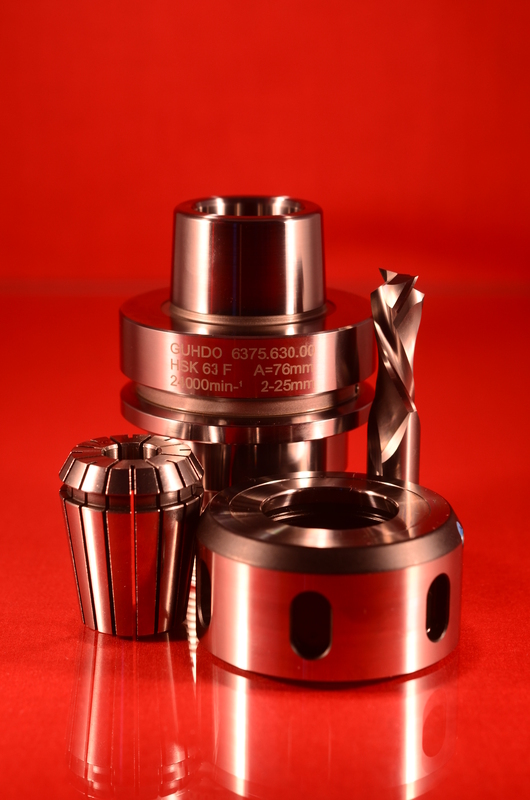 Inspect your cutting tools to see if collet marks are visible on the shank. 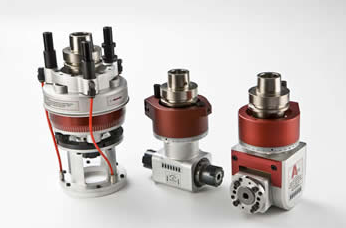 If so, that is an indication of vibration occurring during the cut and it is time to replace your collet. 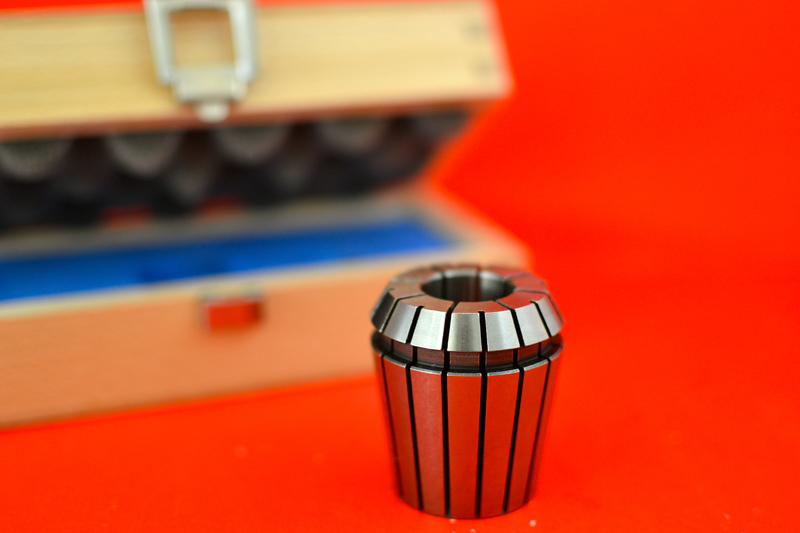 Although, the vibration can also stem from an imbalanced collet nut or tool holder. 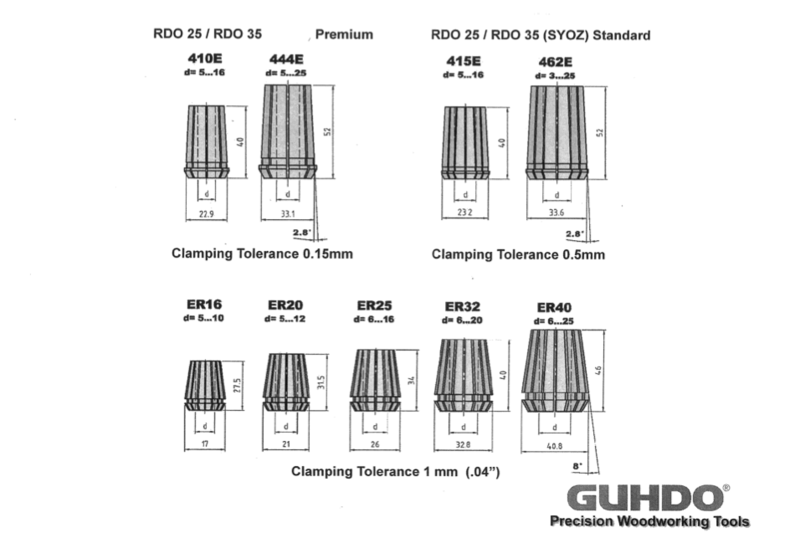 Did you know that in addition to the standard collets with a tolerance of 0.5 mm, GUHDO also offers Premium collets with a tolerance of 0.15 mm? !